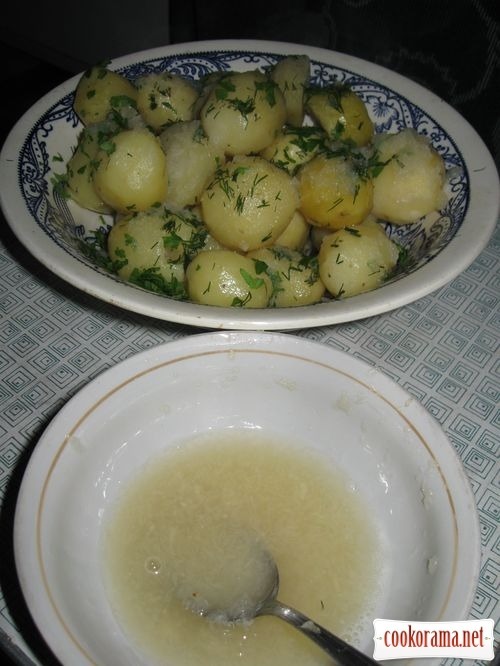 Peeled new potatoes boil until water start to boil, with spices and teaspoon of vinegar. Take out and put in colander. 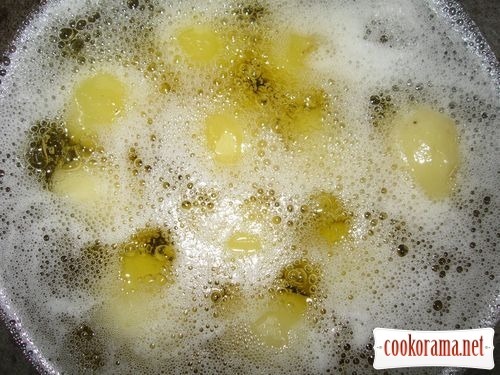 While potatoes is dried, pour oil in saucepan and make it boil. 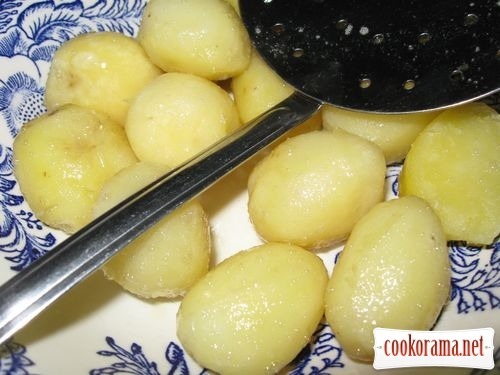 Put portions potatoes into a boiling oil and fry until it golden crust(as a French fries). Take out at the plate with a slotted spoon. Boil water and melt the butter. 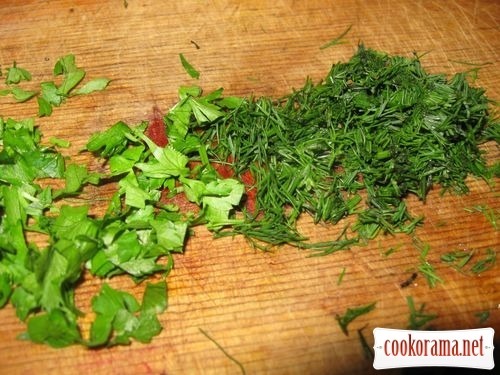 Peeled garlic squeeze and mix with melted butter. 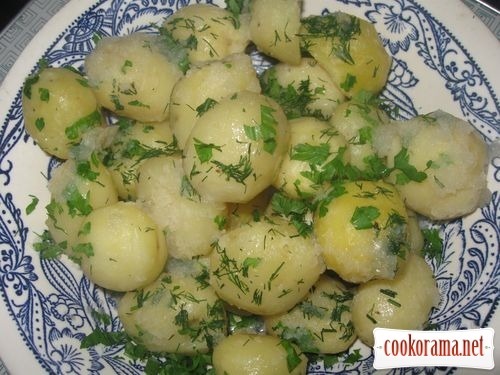 Potatoes pour with sauce and sprinkle with minced greens. 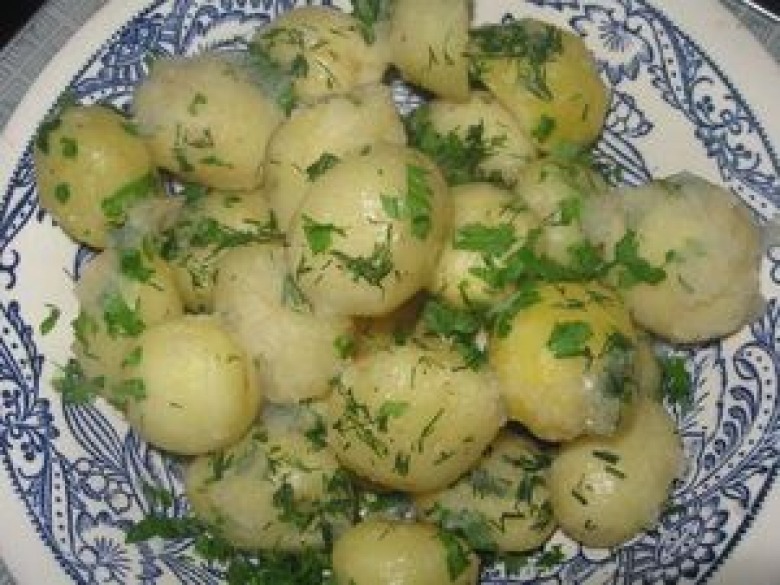 Potatoes with garlic sauce is ready! 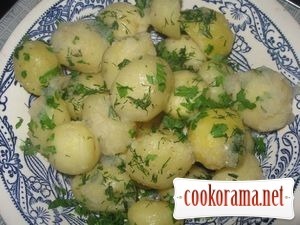 Top of recipe "Potato with garlic sauce"
Це мамин рецепт — сьогодні ласували. І не забуваємо чистити зуби, щоб не штинило часником . Дуже смачно і ароматно. Люблю таке.